There is widespread coverage in print media following the opening of the Government's knife crime summit at Downing Street where the Prime Minister warned that "we cannot simply arrest ourselves" out of this problem. 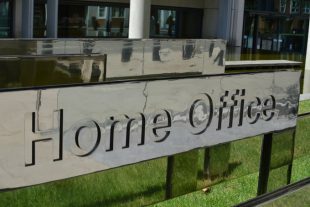 Coverage notes that more than 100 experts are meeting at the summit this week as the Home Secretary launches a consultation on a public health duty on serious violence, designed to ensure public organisations spot the signs a young person is in danger and ensure proper action is taken. The Guardian, FT, Times and Mirror report that some teachers groups have criticised the proposals amid fears that they could be "scapegoated". The Express carries a Home Secretary op-ed highlighting that the summit has marked a “turning point in joint action on serious violence” and that “there is no single solution to this problem, but we do all have one clear aim - to save young lives”. The Telegraph reports that social media firms face punitive fines if they allow the sale of knives online and fail to crack down on violent gang videos, under new duty of care laws due to be announced next week. According to the article, sale of illegal goods such as drugs and weapons on the open internet will be listed as one of the "clearly defined" harms in the Government White Paper, which will put the onus on tech giants to prevent the trade. We have heard calls for a statutory ‘duty of care’ on platforms, and have seriously considered all options. The Government will shortly publish a White Paper which will set out the clear responsibilities for tech companies to keep UK citizens safe online. This includes content that incites violence and the sale of illegal goods. Fraud cases are being dropped by police even if they have enough evidence and suspects, the Sun, Express and Mail report. The Mail added that victims are being failed because the crime does not “bang, bleed or shout,” citing a report by HM Inspectorate of Constabulary (HMICFRS). It added that some forces “were deliberately seeking reasons not to investigate” fraud cases. HMICFRS’s report added that the failures lead “fraudsters [to feel like] they can act with impunity, leaving victims confused and disillusioned”. We have been clear that the law enforcement response to fraud needs to improve as this type of crime can have a devastating impact on victims. We will carefully consider the HMICFRS recommendations and work closely with law enforcement to implement them.